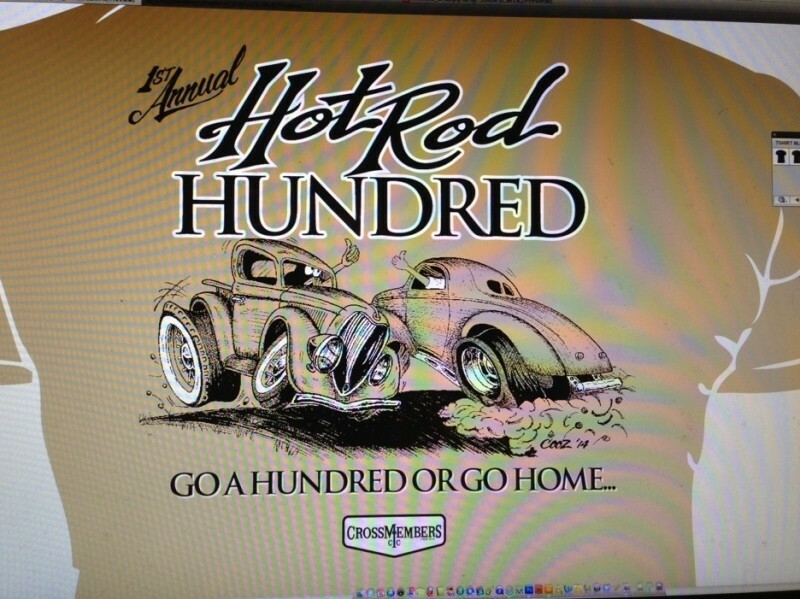 The 1st Annual Hot Rod Hundred T-Shirt design, by Dave Cooz Cusimano. And we will be heading up The Southwest MO Hot Rod Hundred! Currently, there’s about 50 cars registered. I’ll be making a run to the Tulsa area, Sunday afternoon, to pick up the T-shirts (and some parts for my off topic ’54 F100). At this point, I am still leaning towards driving the ’40 coupe. The ’40 Stake Truck got to do most of the fun stuff last year, and the year before that, it was the ’37 Sedan. This event will be an “open” event, up to 1972, but I’ll definitely have pictures of the pre-48 participating cars and trucks! For those of you who wanted to see more pictures of my coupe and truck at last weekend’s “Man Show”, you can click here.